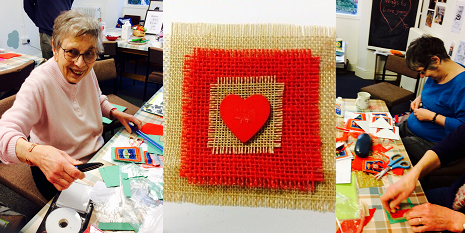 Thank you to our lovely friend Enid for running an adorable Skills Café this week making cards. Spending time together with people who care about each other (and chocolate and strawberries!) was the best Valentine’s Day possible. Love to all! Next week we will be making a collaborative Monet-inspired mural with Shannon, then taking it to Abbott Hall to see the real one! All welcome.